We have received word that Leroy “Bo” Craig, the brother of Helen Craig Mitchum went to be with the LORD on Wednesday, March 13. Many Douglass and Sadler schoolmates will remember Leroy. Please keep the family lifted in prayer during this time of bereavement. Services are scheduled for Thursday, March 21,at 11:00 am atNew Zion Baptist Church in Muskogee. Also, late last month we received word that Lonnie “Dickie” Edmondson had passed. No publication was made of his passing or services. Please take a moment to remember Lonnie and pray for any family members who may yet be grieving. Our classmate, Wanda Price Payne’s husband, Rev. John F. Payne of KC, MO, transitioned back into the arms of his Loving Creator on Saturday, November 3. Please keep Wanda and her family in prayer as they plan and prepare for services on Saturday, November 10. The family is being cared for by Elite Funeral Chapel of KC, MO, so any expressions of sympathy and care can be sent to Wanda through them. Services for William Gray are set for Tuesday, July 3, 2018 at 11:00. Viewing is at 10:00 at the church. With great sadness, I inform you of the sudden passing of our classmate and friend, William Gray, early this morning. That is all I know at this time. Please keep Shirley, their sons, their granddaughter and William’s siblings and family in your prayers. Mr. Roy L. Milam, 69 KCMO died Sept. 30, 2016 in Overland Park, Ks., services sat October 8, 2016, 2pm at Watkins Heritage Chapel. visitation 12noon. Interment in Booker T. Washington Cemetery in Muskogee, Ok.
Word has been received that Lillie Mae Hunt Wright, sister of classmate, Betty Walker Morrison has transitioned from this life. Please keep Betty and family in your prayers! Proud and devoted classmate/member, Lloyd David Brown made his transition back to his Maker. Services are pending. Please keep his family in prayer. Word has been received that Class mate, Nathaniel Stanford, has transitioned back to husband Creator. Services are pending. Please keep his family in your prayers. With great sadness, I share the shocking news of the sudden transition of our classmate, Shirley Turner Walker early this morning. No details are known at this time, but let's join in fervent prayer for Shirley's family, especially her children. I will update you as I know more. Services for Markus Walker (son of classmate, Shirley Turner Walker)were held on December 28, 2015 at 11:00 a.m. at Faith Deliverance Christian Center in Muskogee. Services for classmate, Lottie Miles Simmons, are scheduled for December 29, 2015, at 11:00 at Schaudt's Funeral home in Glenpool, OK, with burial at the National Cemetery at Fort Gibson, OK.
Classmates, please join in prayer for two of our classmates who have had children make their transition from the earthly realm to eternity within the last week. Tiara Lee, the daughter of LeeAntoinette Green, made her transition on December 10 in Tulsa. Services were held on December 18 in Tulsa. Markus Walker, the son of Shirley Turner Walker, made his transition on December 22 in Muskogee. Services are pending at this time. During this season of joy, please remember our friends who are experiencing deep sorrow. Word has been received that our classmate, Lottie Miles Simmons, transitioned from this earthly life on December 10 in her home. You will recall that Lottie's husband, Archie, passed in September this year. Please keep their children and other family in your prayers. No info has reached me about services. Dr. Robert McFrazier, brother of our classmate, Carolyn McFrazier, passed from this life to life eternal on November 24, in Topeka, KS. Please keep Carolyn and the family lifted in prayer. This is the second sibling in their family to transition in just a few months. Services for Dr. McFrazier will be held on December 2, 2015, at the Mount Carmel Baptist Church of Topeka. Classmates, please remember the family of our classmate, Charles Woods, aka Middle Passage, as his services will be held on October 29, 2015, at Adams State College in Alamosa, CO. The National President of the NAACP will deliver the eulogy . Please remember to whisper a prayer for his wife, children, grandchildren and siblings on that day. The webmistress apologizes for the lateness of this news, but something happened in cyberspace and it did not go through when I posted it last week. Tommie Jean Jackson, of Itasca, TX, the younger sister of our classmate, Joice Rivers Carter, made her transition early last week. Services were held Ssturday, October 24, 2015, in Itasca. Please keep Joice and her family in your prayers. Ms. Joyce Chairs Diles, with loving family by her side, peacefully Dozed into Eternal Rest, Wednesday Morning, October 14, 2015 in Tulsa, Oklahoma. Ms. Diles will have a visitation in Tulsa on Wednesday October 21, 2015 from 12Noon until 7PM in Tulsa, and a visitation on Thursday October 22, 2015 from 12Noon until 6PM in Muskogee. Her funeral service will be Friday October 23, 2015 at St. Paul United Methodist Church located at 2130 W. Okmulgee Street in Muskogee at 12Noon. Burial will follow at Booker T. Washington Cemetery in Muskogee. Funeral services for Archie Lorenzo Simmons will be held on Friday, October 2nd at 11:00 at Schaudt's Funeral Home in Glenpool, ok. 719 East 141st St. Glenpool 74033 (918) 291-1700. Interment at Ft. Gibson National Cemetery. Word has just been received that Archie Simmons, the spouse of classmate Lottie Miles, (and brother of deceased classmate, Patricia Simmons) passed. Please keep Lottie and the family in prayer. Word has been received that classmate, Charles Woods, aka Middle Passage, suffered a fatal heart attack on yesterday. More information will be passed on as it is received. Please pray for his family. Word has been received that our classmate, Dee Hampton Davis, made his transition this morning, please pray for his family. 23-year-old grandson, Frederick Farmer, passed away unexpectedly. Our classmate asks for our prayers during this tough time! Word has been received that Mrs. Annie Jewel Mure Vaughn, the mother of Charley Epperson, passed on June 22, 2015 in Oakland, CA, where she had been residing with her daughter, Joyce. Plans are underway to return her to Muskogee for a service and burial. Time and place to be confirmed later today. Please keep Charley and his family in your prayers! I apologize that I did not get this announcement out sooner, as I was dealing with the critical situation of my own son. 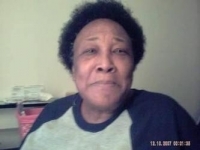 I am sure that most of you are aware by now that Margaret Jean McFrazier, the younger sister of Carolyn McFrazier made her transition on June 16, 2015. Services to celebrate her life were held on June 27, 2015, at Macedonia Baptist Church in Muskogee. Please keep Carolyn and the family in your prayers! A golden heart stopped beating, hard-working hands went to rest. God broke our hearts to prove to us He only takes the best. On November 27, 1947 a beautiful daughter was sent from Heaven to join the union of Eldon, Sr. and Laura Jean Lyday. They named her Sandra Elaine. As a child she attended Jerusalem School and in 1965, she graduated from the Historic Manual Training High School. After graduation from High School, she went to Job Corps. Sandra then returned to Muskogee to enter the work force as a Nurses’ Aide and worked at various Nursing Center in Muskogee. She met and married Dewey B. Cullom and to this union a daughter was born. The marriage was later dissolved and she met Eddie Robinson. From this union two sons were born. After many years together and her love to help people, she decided to further her education and went on to become an LPN and graduated with straight A’s and President of her class. She also worked at night at Muskogee General Hospital. She wanted something better so she moved her and her children to Tulsa, Oklahoma where she resided until her death early Monday Morning April 27, 2015 at her home in Tulsa, Oklahoma. In her 67th year, Sandra dozed into eternal peace of slumber and was met at Heaven’s Gate by her parents, two brothers, and two sisters. Those remaining to lament her death while yet cherishing loving memories of her smile, her loving, giving, beautiful soul are her three childen: one daughter Lori Ann Cullom, Dallas, TX, and her children Alden D. Cullom, Alexia D. Cullom, Andrew D. Cullom, Mishayla E. Cullom, and Quentin D. Cullom, her oldest son Eddie Robinson (Jessica), Tulsa, OK., their children Danielle L. Colbert, Javia D. Robinson, Eddie T. Robinson, Jr. Rayden T. Dean, and Raylee A. Dean, her youngest son Damion Robinson (Jamie), Tulsa, OK. and their children: Dylan L. Sutter, Keonte L. Robinson, and Damion J. Robinson, Jr., all of Tulsa, OK., two sisters: Patricia Bryant (Jerry), Tulsa, OK., Janie Moore (Vernon), Muskogee, OK, a very special lil-sister cousin Randy McNac (Arthur), Muskogee, OK., a variety of great-grandchildren from Tulsa to Texas, along with a caravan of nieces, nephews, cousins and friends. Services for Ms. Sandra Cullom will be Saturday May 2, 2015 at 1PM inside Biglow's All Faiths Chapel in Tulsa, Oklahoma. Visitation will be Friday from 12Noon until 7PM in Tulsa. Word has been received that Mrs. Velma Brown, mother of classmate, Cedrie Brown, went to be with the LORD this morning. Arrangements are pending. Please keep Cedric and family in prayer. Services celebrating the life and the home-going of Mr. James Rudolph Cotton, Sr.,have been scheduled for Friday, January 23, 2015 at 10:00 am, at St. Mark Baptist Church, Muskogee. Burial will be at the National Cemetery at Fort Gibson, OK. Arrangements being handled by Granger-House of Winn. Mr. James Rudolph Cotton, Sr..(Class of 1956), brother of Mary Cotton Oliver, transitioned to his Eternal Rest early yesterday morning, January 19, 2015. Please keep the entire family in prayer. Arrangements are pending. I just spoke with Marcia Jennings Granger. This morning Mrs. Jennings transitioned from this life to Life Eternal. Please reach out to Marcia with your love and care. Keep her in your prayers. Information will be posted here if and when a service is scheduled. YOU SHOULD HAVE RECEIVED THIS EMAIL IN June; if you did not, please go to classmates page and update your information. Can you believe that it has been almost 50 years since we graced the halls of dear old Manual? Where did the time go? I'm sure you have had some of the same trials, joys, disappointments, and blessings that I have had. It's time for us to get together one more time. Plans are underway for our 50th reunion. We want this Golden Anniversary to be the greatest one ever. The dates are May 22-24,2015(Memorial Day week-end). You may make reservations at Marriott's Fairfield Inn & Suites, 1650 North 32nd Street, (918-683-6700), fairfieldinn.com. Room rates are: $90.00 for double queen and $100.00 for executive suites. Rates include a complimentary hot breakfast. Please inform them that you are with the MTHS Class of 1965. The hotel suggests that you make your reservations by March 15, 2015. Friday, May 22, 2015, 4pm-9pm, - Registration, meet and greet, time of sharing, Fairfield Inn & Suites; Saturday, May 23,2015, Picnic (inside), 11am, Oklahoma Music Hall of Fame, 401 S. 3rd Street; 1:00 p.m., tour of City, Back to School, free time; Banquet 5pm-7pm, Dance and Social hour, 8pm-11pm, Oklahoma Music Hall of Fame; Sunday, May 23,2015, brunch 12:30-2:30, Golden Corral, 423 W.
Shawnee, Worship and Memorial Service, 3pm, St. Mark Baptist Church, 1020 S 2nd Street. Our Souvenir Book will include photos from our humble beginnings in elementary school to the 2015 Spring Fling and messages and information about you and your family that you wish to include. We hope that you will want to be a part of this book. The deadline for submitting materials will be March 01, 2015. No material/ads will be accepted after this date. If pictures are a part of your ad, please increase the cost by $5.00 per picture. Shirley Hunt Davis, 15009 E 120th Street North, Collinsville, Ok 74021. Our dream is to have at least 50 classmates attend our 50th reunion. Please respond immediately if you are planning to come and all reunion fees will be due by March 15, 2015. Please enclose T-shirt size when you RSVP. Thanks. Please find enclosed a list of classmates that we haven't been able to locate. If you have information for any of these please email, call, or put it on the web page. We don't want to leave any classmates out. Wouldn't it be great to have 50 plus classmates at our 50th reunion? Hoping this letter finds you happy and well and hoping to hear from you soon. This page was previously our ANNOUNCEMENT PAGE that kept up with deaths and happenings in other classes. That page has been archived and is being replaced with this one...stay in touch...prayer requests, both joys and concerns can be sent to the WebMistress (revsister@sbcglobal.net) and she will post here. i have not been able to post this year like in past years as I have been busy closing out my official roles. I retire June 1, 2014 and will be more diligent in posting info. I sincerely apologize to those classmates who have endured life-changing events that have not been posted. Feel free to submit an article that was missed that you would like posted. Submit using the CONTACT US thread. Thank you and God bless you! Mrs. Emma Craig Taylor, mother of classmate Shirley Turner-Walker, passed away on May 8, 2014. Arrangements are pending. Services for Shirley Turner Walker's mother will be Thursday, May 15th at Faith Deliverance Christian Center in Muskogee at 12 noon. Word has been received that Troy, the son of classmate Oster Woolridge and schoolmate Ruby Faye (Martin) Woolridge, class of 1966, passed away on yesterday. Please keep this father and mother and all the family in your prayers. Arrangements are pending and will be posted when available. Oster A (Trois) Woolridge III passed away on April 30, 2014. Trois was born in Muskogee Oklahoma on April 20, 1967. He attended schools in Muskogee, Oklahoma City and Arlington Texas. He graduated from Arlington's Lamar High School in 1985. After High School, Trois attended the University of Oklahoma and played on their championship football team before enlisting in the United States Army. He performed a variety of duties and served in Panama and South Korea. Trois was awarded the Bronze Star for his service in Operation Desert Shield/Desert Storm in 1991. He obtained the rank of Sergeant prior to his medical retirement. After the military, Trois was an Air Traffic Controller for the Western Pacific region. He was also an Aircraft Dispatcher for Raytheon Aeronautics in Wichita Kansas. Because Trois was diagnosed with Gulf War Syndrome he had to give up his career in the Aviation industry. He returned to Texas because of the gradual disinigration of his health from this degenerative illness. Trois lived in Ft Worth Texas at the time of his death. He continued to advocate for Veteran Benefits and medical support throughout the remainder of his life. Through his tireless effort and advocacy, Trois was chosen as a delegate to the 2014 Texas State Democratic Convention. While in the Army, Trois met and married Sheri (McIntyre) Woolridge. They had two children. Jourdan Alexander passed away in 1994 from Sudden Infant Death Syndrome(SIDS). Ashleigh Elizabeth will graduate with Honors from Amphitheater High School in Tucson Arizona this month. Ashleigh will be attending the University of Arizona in the fall. She has been accepted into the UofA Honors College and will be pursuing a degree in Aerospace Mechanical Engineering. Trois and Sheri divorced in 2004, but remained friends and raised Ashleigh together. Services will be held at The Potter's House of Dallas on May 17, 2014 at 11am. In lieu of flowers, the family is requesting that donations be made in honor of Oster A Woolridge III to the Disabled Veterens for America or the Woolridge Family Fund PO Box 121026 Arlington Texas 76012. We would like to use donations made to the Woolridge Family fund to start a foundation to assist disabled Veterens. At a young age Albert Jr. was baptized into the family of God and was a member of Metropolitan Baptist Church. Albert Jr. was educated in the Muskogee Public School system and graduated from Manual Training High School with the class of 1965. During his studies at Manual Training, Albert Jr. satisfactorily completed 1015 hours of instruction in vocational barbering, a skill that he loved and later practiced for many years. In 1970, Albert Jr. entered into a committed relationship with Christine Vann and started a family. Albert Jr. served in the United States Army and received an honorable discharge in August 1973. Albert Jr. worked at Muskogee General Hospital and the U.S. Post Office in a janitorial capacity until his physical health prevented any further pursuits of gainful employment. In his 66th year, Albert G. Harris Jr. went home to be with the Lord, Monday, April 21, 2014. He is preceded in death by his parents, his beloved Christine, a daughter, Marsha Ann, and sister, Barbara Ann Porter. Family members who remain to cherish memories of his life, a daughter, Renette (Shannon) Ousley, four grandchildren, Chaunda, Cortney, Cameron, and Daquarius, 3 great-grandchildren, step-daughter, Cora Garrett and her family, brother, Jimmie (Janis) Harris, sister, Janie Harris, God sister, Antonia Walker, devoted brother-in-law, Alan Vann, and a host of nieces, nephews, cousins and friends. The Harris family invites you to come share with them your memories of “Bunky” on Monday, April 28, 2014, 4:00 p.m. to 6:00 p.m. in the Granger Colonial Chapel. Aaron Burr, Class of 1966, passed away unexpectedly on Thursday morning, June 27, at his home in Akron, OH. Arrangements are pending. Please pray for his family and his classmates! Aaron Burr was a towering, yet gentle, soft-spoken leader, who rose through the ranks during his two decades at the Akron Beacon Journal. Mr. Burr worked at the Beacon Journal for 23 years, eventually leading the newspaper’s circulation and human resources departments. He was also a retired school teacher and assistant principal in the Akron Public School system, where he worked 15 years. He taught history and social studies at Ellet High School, Litchfield Junior High and East High School. In 1982, he became assistant principal at Hyre Junior High. Mr. Burr worked in circulation for six years before taking over as the newspaper’s human resources director in 1996. He stayed in the position until he retired on April 1. Mr. Burr died Thursday at his home of natural causes. He was 65. Family members and friends said he was working hard on his health, determined to feel better. Ironically he died on the anniversary of their first date, June 27, 1983, when they celebrated the July 4th festival in downtown Akron and then went to the Goodyear Metropolitan Park to eat and talk. His daughter, Marlette, said her father was passionate about good food and “loved a good hamburger.” She said he had made himself a hamburger the day he died. “You have to understand the significance of that. He ate every morsel of that hamburger, then he died in his sleep,” she said. Mr. Burr stood 6 feet 6, but he is remembered as a quiet, yet smooth person, who was easy to talk to and a good listener. “He was an exceptional leader, who guided the Beacon Journal through many changes, especially when the newspaper was sold,” said Publisher Andrea Mathewson. “It was quite a big task to bring in all the HR functions that were once housed at Knight-Ridder corporate offices. She said he was solid like a rock. “A lot of times you would solve your own issue by just talking to him because he would guide the conversation, even with senior managers, without being too opinionated to let people come to their own conclusion,” Mathewson said. A native of Muskogee, Okla., Mr. Burr was the oldest of five children. He earned his bachelor’s degree in history and secondary education at Northeast Oklahoma State University and later his master’s degree in education administration at the University of Akron. Mr. Burr moved to Akron in 1971. His wife said he came to the area on the advice of his aunt, Lucille Burr, who claimed there would be better opportunities for him in the Akron Public School system over the Muskogee school system, where he was employed as a teacher. Mr. Burr loved playing golf. He was president of Tire Town Golf Charities the past 12 years and a member of the organization for about 25 years. Patterson also worked with him at the Beacon for several years in circulation and said his friend moved up the ranks quickly. Mrs. Burr said her husband’s father named him Aaron Burr because it was a catchy name and would always draw attention. Mr. Burr said he had his fair share of jokes with his name while teaching history, but not so much from his family or friends. An active member at St. John Christian Methodist Episcopal Church on South Hawkins Avenue, Mr. Burr also served on various United Way committees, the First Tee Board of Directors and Legacy III. He was also a member of Alpha Phi Alpha fraternity. Mr. Burr is survived by five children: Ericka Burr, Shonnie (Steve) Phillips, Marlette (Jess) Brantley, Rachel (Mario) Cobian and Johnnie (Endura) Robinson; six grandchildren and one great-grandson. Funeral arrangements will be handled by Stewart & Calhoun, 529 W. Thornton St., in Akron. Details have not been finalized. Rozina Lyles, mother of our classmate, Wanda (Price) Payne, passed away on yesterday in Kansas City. Please keep Wanda and her sister, Pat, and all their family in your thoughts and prayers. Services are scheduled for Saturday, June 8 @ 11:00 am. at the Temple of Faith Baptist Church in Kansas City, MO.. The webmistress offers sincere apologies to classmate, Darlene (Atkinson) Scott and sisters for not posting the passing of their mother. The webmistress was having computer and Internet issues during that period. Please accept my sincere apologies. Because of that, I am posting your mother's entire obituary. After completing her education through the Rentiesville Public School System, she completed two years at Langston University in Langston, Oklahoma. Later in life, she met a handsome gentleman, Lonnie C. Atkinson. They were married and their union was blessed with four daughters. After 16 years of marriage and the loss of her husband, she no longer could be a homemaker and pursued a career as a cook and later, became the manager of the Sonic Drive-In located on West Okmulgee Avenue. After leaving their employment, she established a childcare business in her home, where she cared for and mothered many who became her life-long friends. As a faithful member of Greater Shiloh Missionary Baptist Church, she has served faithfully as a Deaconess, member of the Mission, Choir, Kitchen Committee and wherever she was called to serve. Since October 14, 2007, she has been recognized as the “Mother of the Church.” When her health began to fail, she continued to support her church, prayerfully and financially. On Tuesday, January 29, 2013, Eola Mae Atkinson, after 93 years, “took flight with Angels to thine place of rest.” She was preceded in death by her parents, her husband, a daughter, Elrita Brown, a brother, Lincoln Jones, her sister, Hestella Brown, Bernice Sheppard and Irene Parrett. Those left to cherish her beautiful memory; her children, Darlene Scott, Muskogee, and Lonnita Atkinson and Deborah Atkinson, both of Tulsa; her sister, Thelma Jackson, Dallas, Texas; her brother, Albert Jones, Kansas City, Missouri; her grandchildren, Marcus Scott, Sr., Richard [Tonya] Atkinson, Javonna Shumate, Elitha Scott, David Atkinson, Sr., Carmell [Chris] Best; her great-grandchildren, Morgan Scott, Marcus Scott, Jr., Derrick Hill, Jr., David Atkinson, Jr., Jonothan Atkinson, Micaela Atkinson, Crystal Best, Christopher Best, and Carlee Best; a great-great-grandson, Lathon Scott; two cousins; a host of nieces, nephews, her church family and many, many friends. The Sacred Farewell will be shared on Saturday, February 9, 2013 at 10:00 AM in the most Holy Sanctuary of the Greater Shiloh Missionary Baptist Church. Reverend Vanzelen G. Brown, Sr., Pastor, will Preside. The Christian Committal will follow in the Booker T. Washington Cemetery. You may visit "Daught" as she slumbers in sweet repose at the funeral home on Friday from 12 Noon until 6 PM. Mr. Willard G. "W. G." Parker, after 98 years, "dozed from earth to everlasting" on Monday afternoon from Muskogee. Service arrangements are pending in Muskogee. Please keep his family in prayer; we will place arrangements here when they are made. Mrs. Kathrine Swift, mother of our classmate, Osie Winn, passed away yesterday in Houston, TX. Services are planned for next Saturday, October 13th in Muskogee. Check back here for more information as it comes in. Please keep Osie and family in your prayers. The mother-in-law of classmate Marjorie (Johnson) Kyle passed away this morning in Arizona at the blessed age of 97 years. Please pray for Stanley and his family. Regretfully, we just received word of the passing of one of our classmates' mothers--Mrs. Beatrice Thompson Robinson, the mother of Fredrick Thompson. Her services were held on yesterday. Her obituary is below. Please pray for Fredrick and the family. Mrs. Beatrice E. Robinson, in her 84th year, “looked to the hills” on Monday, July 30, 2012 from Muskogee. On May 6th, 1928 a beautiful baby girl was born in Beggs, OK to Abbiemittie (Maxwell) & Frank Gardenhire. They named her Beatrice Ella Marie. As a child the Gardenhire family moved to Eufaula and later to Muskogee, where Beatrice professed her love for Christ and was baptized at Union Baptist Church. Beatrice married Clyde Frederick Thompson on July 5th, 1944. To this, union they were blessed with 4 wonderful sons, Clyde Edward, Fredrick Harold, Leonard Howard and Lawrence Allen, and one beautiful and devoted daughter, Cathy Elaine. Beatrice was a faithful and loving wife until Clyde’s death on January 15th, 1966. She later married Mr. Theodore “Papa” Robinson in May of 1978. The two of them spoiled their grand-kids and taught them to cook, until December 3rd, 2000, when Papa went HOME to be with the Lord. Preceding her to Heaven were her parents, Frank and Abbiemittie, her siblings, Martha, Frank, “RC”, JoAnn, Ben, Clifford “Butch”, Ruth, James Dee; her husbands, Clyde and Theodore; her oldest son, Clyde; two daughter-in-laws, Margie Faye and Catherine Ann; grandchildren, Lynetta Thompson and Shalake Blair and one great granddaughter, Ashari Lyday. She leaves to cherish her wonderful memory her children, Fredrick Thompson (Kathy) of Muskogee, Leonard (Robyne) Thompson of Clinton Township, MI, Lawrence (Latressia) Thompson, Cathy (Cornelius) Edwards all of Muskogee. Her siblings, Frank “Pap” Gardenhire Jr. & Viola Piggee, both of Muskogee. A multitude of grandchildren, Clyde’s children, Stevie (Valorie), Sarah (Odell), Cynthia, Karen, Tim, Clyde Jr. Uhl, Charles (Carol), Carmen (Larry), Travis, Jody (Michelle), Freddy, Bob, Stephan (Victoria), Varon, Joseph, Christy, Brandon, Turk and Tubby, Fred Harold’s children, Amanda, Cinnamon & Megan, Leonard’s children, Chris (Nikki), Imesia, Roger (Angie), Clyde, Kevin, Tamarsha, Brandon “BT”, and Kendra (David), Lawrence’s children, Philemon Jr. “Peppy”, Rodney (Robin), Lawrence Jr., Christa (Oliver), Rondale, Courtney (Lori), La Toya (Claudell), Dustin (Cathy), Lanita, Ely (Joanna), Tiarra, Ron “RJ”, Jada, Lydia, Cathy’s Children, Clarence, Crystal (Billy), and CleAndrae Ms. Beatrice Robinson leaves over 100 great grandchildren and many great great-grandchildren. There was not one child that Ms. Robinson didn’t love with her whole-heart. In addition to cherishing the great memory of Ms. Robinson are several nieces and nephews, other family members and friends that will always fondly recall wonderful times with the one and only Ms. Beatrice Robinson. The Celebratory Tribute to say Farewell will be held on Friday, August 3, 2012 at 10:00 A.M. in the Timothy Baptist Church. Pastor Kelly Payne is the gracious host Pastor, and Reverend Don Dumas, Pastor of Dean's Chapel Baptist Church will officiate. Burial will follow in the National Cemetery at Fort Gibson at 12 Noon. Her Final Hour will be a Signature Service by the Keith D. Biglow Funeral Directors, Inc.
You may visit “MeMaw”, as she slumbers in sweet repose on Friday at Timothy Baptist Church from 9:00 AM until 10:00 AM. The Casket will not be opened at the conclusion of the Ceremony. Friends may convey condolences and sign the online register at www.biglowfunerals.com. SOMETHING WE CAN BE PROUD OF-this article about our classmate, Taft Hickman, came via the Northeastern State University News: Taft Hickman, Muskogee Manual graduate, former NSU student and an educator for the past 40 years, will appear onNBA TV, along with current New Orleans Hornet Basketball coach Monty Williams. Taft was a High School Basketball coach at Frederick Douglas High School where he coached Shawn Merriman, a top five (5) high school basketball on the East coast and currently playing for the San Diego Charges of the National Football league. Taft won two (2) Maryland State High School Championships, was State Runner-up twice. He coached Monty Williams, Head Basketball Coach for the New Orleans Hornets and starting Sunday, July 15th at 5:30pm, Monday @5:30pm, Friday @5:30pm and Saturday, July 21 @ 1:30pm on NBA TV, Taft will be a guest coach with the New Orleans Hornets in Las Vegas for the NBA Summer League. Let's give Taft our support and view the NBA TC channel on these dates. Congratulations Taft, hopefully we will see you as an NBA assistant or Head Coachin the near future. Services for Byron Hill, III (grandson of Marva Elliott-Hill) will be held Friday, June 22, 2012 @ 1 p.m. @ the Cornerstone Missionary Baptist Church, Mattock and Green Oaks in Arlington, TX. Please continue to pray for Marva and her family. Last evening Byron Hill, iii, 15 year-old grandson of our classmate, Marva Elliott-Hill, drowned in a lake near Altus,OK. He was attending a camp in the area. Please keep Marva, her son and daughter-in-law in your prayers as they go through this difficult time. Arrangements are pending. Funeral services for Mr. Robert Carter will be held on Friday, May 11, at 11:00 at the Peter's Chapel AME Church near Muskogee. Please keep Mary and her family in your prayers and reach out to her in your own way. Mr. Robert Carter passed this past Saturday. He is the father of classmate Mary Carter Cullom. Services are pending at Ragsdale's Funeral Center. Please keep Mary and her family in your prayers. Services for Mrs. Ellen Brown, the mother of Lloyd David Brown, will be held on February 28, 2012, at the Mount Pisgah Baptist Church, 6335 Elam Road in Dallas, TX 75217 at 12 noon. Visitation will be at 10:00 a.m. on February 28, as well. Continue to lift Lloyd and family in your prayers. Mrs. Ellen Brown, the mother of classmate, Lloyd David Brown, passed from this life to the next on February 22, 2012 at the blessed age of 95 years old. Arrangements are pending at this time. Check back here for further information. Please keep Lloyd and his family in your thoughts and prayers. A couple ladies from our childhood have passed on. As a MTHS Web page, we need to honor them. They are Mrs. Lola Hudson, our English and Speech Teacher and Mrs. Elizabeth "Liz" Duncan, who made sure we experienced the best hot link of all times at Liz's barbeque. Remember these families in prayer. — Lola Hudson was born, January 30th, 1909, at Muskogee, Oklahoma, to Will and Roma Tucker, the second of three children. Her father came from Texas to work on the railroad, and her mother migrated with her family from Tennessee to Indian Territory. 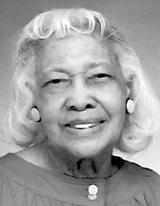 Lola graduated from Manual Training High School at Muskogee, earned a Bachelor of Science degree from the Colored Agricultural, and Normal University (Langston University), and a Master’s Degree from Kansas State University, at Pittsburg, KS. She also did work toward a Doctorate Degree at the University of Chicago and at Oklahoma State University. In 1932, she married Reverend Robert L. Hudson, Pastor of Union Baptist Church, Muskogee, OK and Superintendent of the Taft Public Schools, at Taft, OK. They later had one daughter, Bobbye Hudson. Mrs. Hudson’s teaching career lasted 45 years. She taught English, Drama, and Speech at Manual Training High School & Sadler Arts Academy, Muskogee Junior College, and Alice Robertson Junior High School. For the last 15 years of her career, she taught English and Humanities at Northeastern State University. 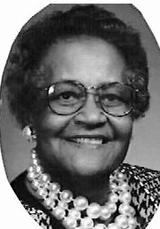 Lola served on the Muskogee School Board (1979-1989), two years as President. She was chosen “Teacher of the Year” in Muskogee. She was appointed by President John F. Kennedy to his Commission for the Employment of the Handicapped. Lola loved the Lord, delighted in singing and playing the piano, and enjoyed sewing finely-tailored clothing. She and her daughter traveled to 11 European countries. She was a member of First Missionary Baptist Church and was before her death, the only Foundering member of the Muskogee Chapter of Zeta Phy Beta Sorority. The end to her busy life came on January 10th, 2012, in Portland, OR, where she had spent the last years of her life. She was preceded in death by her husband, Robert, her brother, Reece, and sister, Genevieve. Left to mourn her passing are her daughter, Dr. Bobbye Hudson Davis, grandson, Jonathan Davis and family all of Muskogee, OK, sister Mary Lou Dixon, Minneapolis, MN, niece, Patricia Walker (James) and family, Lake Oswego, OR, nephew, William A. Martin (Ann) and family, Rockaway Beach, OR, as well as several grand nieces, nephews and cousins. Graveside Services will be conducted at Fort Gibson National Cemetery, Monday January 23rd, 2012, 1:00 p.m. with Rev. C. Maurice Baccus, pastor of First Missionary Baptist Church, officiating. The funeral procession will depart from the Ragsdale Chapel at 12:30 p.m.
With many thanks, further expressions of kindness and respect may be forwarded to ldhudson918@gmail.com. There will be no public visitation. Services will be under the direction of Ragsdale Funeral Center. — Elizabeth Bradley Duncan also known as “Mama Liz”, was born to the proud parents of Henry and Pinkie Bradley, on November 12, 1923 in Baconton, Georgia. When she was nine years old the family moved to Muskogee, Oklahoma. As a youth Elizabeth accepted Christ and attended Mt. Zion Baptist Church and Collins Chapel. Elizabeth graduated from Manual Training Senior High School at the age of 16. She was an outstanding student and was chosen Homecoming Queen. After high school she continued her education at Wiley College in Marshall, Texas. In 1942, Elizabeth married Herbert A. Hillburn. To this union one child, Bonita, was born. Later she married Henry V. Duncan to this union five children were born, Carole, Marilynn, Henry Jr., Keith and Angelique. In 1956 she opened Liz’s Bar-B-Que, an establishment that quickly became a hub of the community for young and old. Elizabeth’s kindness, generosity, and nurturing spirit soon earn her the name, “Mama Liz”. Mrs. Duncan was active in the church and community. As a member of Bethel A.M.E, Church she served on the Trustee Board, where she was also a musician and choir member. After the death of her father, Deacon Henry Bradley, she rejoined Mt. Zion Baptist Church to continue the Bradley legacy. She leaves to cherish her memory six children, Bonita Cade of Houston, TX, Carole Duncan, Muskogee, OK, Marilynn Duncan, Wilburton OK, Henry Jr. Houston and Angelique Hillmon, Muskogee, OK. She taught her children that they were whole in every way as they were a product of her. From the birth of her children she had fourteen grandchildren, Brenton, Ra’Chelle, Marshall III, Keosha, Alyssa, Tori, Henry III, Keith Jr., Kristian, Devin, McKeanna Kizz, Juanell,and Russell. From the birth of her grandchildren she had fourteen great grandchildren Braylen, Bryce, Lauren, Kristin, Braxton, Brevyn, Kiyonce’, La’Naria, Kimori, Kristinna, Deontea, Rushetta, and Briauna. She also leaves her cherished cousin Sarah “Tess” White. The Hour of Tribute to Mrs. Duncan will commence at 2:00 PM on Saturday, February 11, 2012 in the Timothy Baptist Church. Pastor Kelly Payne is the gracious host Pastor and Rev. David Ragsdale, Jr., Pastor of the Mt. Zion Baptist Church will officiate. Burial will follow in the Booker T. Washington Cemetery. You may visit "Mama Liz" as she slumbers in sweet repose at the Keith D. Biglow Funeral Directors, Inc., on Friday from 10 AM until 4 PM. The Family will be present at the Wake at the Mt. Zion Baptist Church from 5 PM to 7 PM for friends to share reflections and remarks. NOTICE: The place of the services for Murrell's mom has changed to Faith Deliverance Christian Church on Independence (East of South "B" Street) in Muskogee. Services for Lois "Margie" Sharp, the mother of classmate, Charles Maurice Murrell, will be held on Saturday, January 28, 2012, 2:00 p.m. at St. Mark Baptist Church in Muskogee, OK. Please continue to pray for Murrell and his family and reach out to him if you are able. Lois "Margie" Sharp, the mother of classmate Charles Maurice Murrell, passed away last night in Muskogee after a short illness. Please keep Murrell and his family in your prayers. We will keep you informed. Bobby Ray Collins (Class of 1963), the brother of classmate, Jessie Ann Collins, passed away on November 25 in Tulsa, OK. Services were held today, on Saturday, December 3, 2011 at Mt. Zion Baptist Church in Muskogee. Please keep Jessie Ann and the family in your prayers. William Ballard (Class of 1970), brother of classmate Tommy Jordan, passed away earlier this week. No other details are known at this time. Please remember the family in your prayers. Mr. L. C. Pearson, father of Patricia Pearson, passed away on October 20, just a few weeks after his wife of 69 years. Please keep Pat and her siblings and family in your prayers during this difficult time. Services are pending. Services for Dorothy Cotton, the sister of Mary Cotton(Oliver), will be held on Saturday, September 17, 2011, at 10:00 a.m. at the St. Mark Baptist Church in Muskogee with Ragsdale Mortuary in charge of arrangements. Please continue to pray for the family. Mary Cotton's sister, Dorothy, (Class of 1960) went to be with the LORD late last night. Arrangements are pending. Please keep Mary and the rest of the family in your prayers. James E. Knapper, Jr., 43 year old son of our classmate, the late James E. Knapper, Sr., was fatally wounded in Tulsa on Sunday night. Friday Sept. 9, 2011. 9am-8pm at the Reynolds Rose Hill Funeral Home in Tulsa. Please keep this family in your thoughts and prayers. Services for Pat Pearson's mom, Mrs. Opal Pearson, have been scheduled for Saturday, September 10, 2011 at 11:00 a.m. at First Assembly of God, 35146 West 221st Street, Bristow, Ok.
Visitation will be Friday, September 9, 2011 from 1-6 p.m. at the Granger-House of Winn Funeral Home in Muskogee, OK. Please remember Pat and her family. Mrs. Opal Pearson, the mother of classmate Pat Pearson, passed away on yesterday at home. The family is being cared for by the Granger-Winn Funeral Home; arrangements are pending. Please keep Pat and her family in your prayers during this difficult time. Check back for more information in a few days. It’s been great and I’ve loved every minute in this job…. Serving you my colleagues and friends! the pomp and circumstance – into the day or night. your friendships/working relationships even more special – I love you all. Please be in prayer for our beloved Junior High teacher, Cedric Johnson and family. His wife, our beloved Junior High secretary, Inez Lyria Pearson Johnson, passed away. You can find her obituary at www.muskogeephoenix.com in the August 13, 2011 edition. Here's a photo that will jog your memory in case you have forgotten. Please keep Mary Cotton's sister, Dorothy Jo, in your prayers. She is in ICU in Muskogee with serious health issues. Please pray for her healing and for the family's strength and stamina as they seek to care for her. www.muskogeephoenix.com on July 14, 2011--her name is Bobbie Shane-Brown Wigfall. A card was sent to the family as she was a sibling. www.muskogeephoenix.com on July 7, 2011. Today I have worked on a new part of our page that allows me to add people's email addresses even though they have not signed into our classmate page. If you see one here that is incorrect please let me know. If you received this email and have never visited the page, please do so and please complete your profile on the Classmates' page. Also, word has been received that Cedric Brown's sister, Betty, passed away sometime this past weekend. We will send more info when we have it. Please keep this family in your prayers. Funeral Services for Mr. Joe Price, the father of Wanda Price, will be held on Saturday, July 9, 2011, at 11:00 a.m. at Eastside First Baptist Church in Checotah, OK. Viewing will be held at Dyer Funeral Home in Tulsa on Friday, July 8, 2011 from 1-6 p.m. Please keep Wanda and her family lifted in prayer. 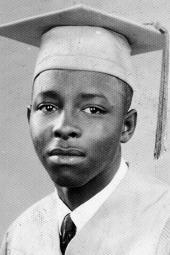 Rudy W. Boulware (MTHS Class of 1963) passed away on July 2, 2011. Services will be held on Saturday, July 9, 2011, at 2:00 p.m. at First Missionary Baptist Church. Please pray for this family as well. We've just received word that Wanda Price's father passed recently. There are no more details at this time. Please keep Wanda and family in prayer. Please click on the name to read the article. This is the mother of Shedra Rentie (Class of 1963) and the aunt of our classmate, William Gray. Please keep the family in your prayers. Also, Mary Cotton-Oliver's sister, Dorothy, is in Solara in Muskogee which is a hospice facility. Please keep Mary and her family in your prayers. I have received word that Rev. B. W. Noble, longtime pastor of Antioch Baptist Church in Muskogee passed away this morning in Muskogee. Please keep Norma and Sanford and the Antioch family in your prayers. Arrangements are pending at this time. The arrangements for the home-going celebration for Pastor B.W. Noble are as follows: Thursday, June 9, 2011, public viewing 1p-6p Antioch Church, Musical Concert to follow (all are welcome to perform); Friday June 10, 2011, Official Service 11a Muskogee Civic Center w/public viewing from 9a-11a. Click on the title and read this article--this is Mr. Claude Riley's wife. Leonard Reed (MTHS Class of 1967) passed on the 16th in Milwaukee, WI. His services will be Friday, June 24th in Milwaukee at the Northwest Funeral Home on Hampton Street. He is the brother of our classmate, Myron Reed. Please pray for this family. Word has been received that Janice Schoats Ware, 57, teacher, formerly of Muskogee, died Thursday in Dayton, Ohio. Services are pending at Ragsdale's Funeral Center in Muskogee. Janice is the daughter of the late Coach Albert Schoats and Virginia Schoats of Muskogee. Keep the family in prayer. Reach out to the family with love and concern. Nathaniel Stanford was born May 20, 1946, in Muskogee, Oklahoma, to Azalee (Bess) Stanford and Walter Stanford. He was the youngest of their seven children. At an early age, Nathaniel professed faith in Christ, was baptized and joined Macedonia Baptist church. He attended Langston Elementary, Sadler Junior High and graduated from Manual Training High School. While attending Manual, he excelled in football, having a reputation of the most feared center by all his competitors. He also became a skilled barber under the leadership of Mr. Coleman. In June, after high school, he joined the United States Army, completing his basic training in Ft Polk, Louisiana. On August 16, 1965, he married Jackie Devorah Fields. They were blessed with a son, Nathaniel Jr., while stationed in Germany and a daughter, Sherita, born in Ft. Knox, Kentucky. Nathaniel did tours in Berlin, Korea and the DMZ and was later stationed in Ft Ord, California. He retired from the Army in June 1978. Once returning to Muskogee, he worked for the Muskogee Water Treatment plant for 14 years, was a foster parent and helped operate Jackie's Daycare Center. The experience of fostering led them to love and adopt Bryant, Andrea, Alexis, Maurice and Jacob. Nathaniel enjoyed hunting, fishing, card games, grilling good meats and various other activities. Often, he could be found at a cafe eating breakfast and chatting with friends. When his health began to change, he found a new joy that seemed to invigorate and consume his attention. That was to help raise his granddaughter, K'Mauri Billings, the love of his life. He took care of her and she wrapped him around her fingers. His health took a drastic turn on June 18th. He was given love and attention by his children, family and the health professionals. He was preceded in death by his beloved parents, Walter and Azalee; one brother, George and three sisters: Dorothy Dedmon, Vacie Chatman and Maxine Norwood. Those left to cherish many memories are : his wife, Jackie D. Stanford, Oklahoma City; his children, Nathaniel Stanford, Jr. (Cynthia) of Muskogee, Sherita Stanford, Oklahoma City, Bryant, Andrea, Alexis, Maurice and Jacob and Granddaughter K'Mauri all of Muskogee; One sister, Mary Alice Wallace and one brother, Sammie (Margo) Stanford, a host of nieces, nephews, cousins, and special friends who will miss him dearly. The Final Salute for Mr. Stanford will be on Friday, July 15, 2016 at 10:00 A.M. at Rayfield Baptist Church in Muskogee. Burial will follow in the National Cemetery at Fort Gibson, Oklahoma at 12 Noon. You may visit Mr. Stanford, as he slumbers in peaceful repose at the funeral home on Thursday from 10:00 AM until 7:00 PM. Wilbur Reed, the brother of classmate and Spring Fling host, David Reed, transitioned from this earthly life to Life Eternal on Christmas Day. Please keep the family in your prayers. David just called with these arrangements. A Family visitation will be held on Friday, January 5, at 4 pm at the Rowell Parish Mortuary in Ft. Smith,AR. The service will be held on Saturday, January 6, 2018, at 12 Noon at Spencer Memorial United Methodist Church in Muskogee with Interment at Booker T. Washington Cemetery. A repast will follow at place to be announced.